Starting up a new business has a multitude of challenges for owners including developing a strategic plan, raising capital, finding space to operate the company, hiring excellent people, and getting your brand into the marketplace to attract clients. Jen Kraft and Melanie Struble, founders of Body Positive Works, an integrated wellness center (www.bodypositiveworks.com) have experienced this first-hand since starting their business in November 2016. 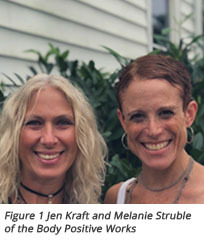 From their beautiful studio in Saddle River,New Jersey, Jen and Melanie focused their passion for celebrating a positive body image and providing a total support system for clients to celebrate themselves using modalities s such as therapeutic yoga, meditation, psychotherapy, nutritional counseling, chiropractic, reiki, bodywork, massage, emotional freedom technique and psychotherapy under one umbrella. One of their challenges was to provide voice services for a mobile workforce that would be at the center depending on client appointments, class schedules, and workshops. Practitioners should be able to place and receive calls for the Body Positive Works not only from the center but also when they are at home or other locations. Melanie and Jen’s vision for voice communications was that every practitioner has a smart phone, so let’s use that platform for integration with the voice system in the office. There will be still be phones in the office for frequent users like the administrator and owners. However for everyone else, they would be assigned an extension and mailbox on the voice server that would map to a phone application on their smartphone. The smartphone application should work seamlessly, regardless of whether the user was on the Body Positive Works WIFI network, a practitioner’s home WIFI network, or on the cellular LTE data network. Louisa Voice began working with Body Positive Works to find cost-effective solutions to these problems. The first step was selection of voice server and business firewall technologies – leveraging Louisa Voice’s expertise in the deployment of open source firewall and telephony technologies, the Open Source firewall and Sipxcom Open Source telephony voice servers was integrated to run simultaneously on an Intel NUC i3 computing server. The server has a very small physical footprint and was mounted on the wall in their telecom closet. There are no licensing costs to use open source software, so the total cost of the firewall and telephony server was $325 – i.e. the cost of the Intel NUC i3 with 8GB of memory. The Sipxcom open source telephony voice over the Internet (VoIP) server uses a protocol called Session Initiation Protocol, or SIP, to communicate with IP Phones and smartphone clients registered to the voice server. For the studio phones, Polycom VVX phones were deployed which is well-supported in Sipxcom. On the Apple and Android smartphones, the Bria softphone application from Counterpath was purchased (approximately $7), downloaded, and configured to work with the voice server. Bria uses the smartphone’s wireless data connection (either WIFI or cellular LTE) to communicate with the Sipxcom voice server. The Bria application is straight-forward to configure with the Sipxcom voice server. First, an extension (or user) is defined on the voice server, where a unique SIP password is auto-generated and assigned to the extension. Those credentials are then configured into the Bria application along with the IP address of the Sipxcom voice server. When the smartphone is using the Body Positive Works WIFI network which shares the same network as the voice server and IP phones, then the Bria client will register to the voice server – in the following graphic, x200 is being registered to the voice server. If extension 200 is mapped to a Polycom phone in the studio as well as the Bria softphone, and an incoming call arrives at that extension, then the call rings both the Polycom phone and smartphone simultaneously. The smartphone user knows that the incoming call is from the Body Positive Works as the Bria application issues the notification and can answer appropriately – the practitioner is easily able to distinguish incoming Body Positive Works calls from other calls. For outgoing calls from the smartphone, the user brings up a dialpad within Bria to place the outgoing call – the call goes through Sipxcom voice server to the public voice network and displays the main Body Positive Works telephone number as the callerid, and not the user’s cell phone number. 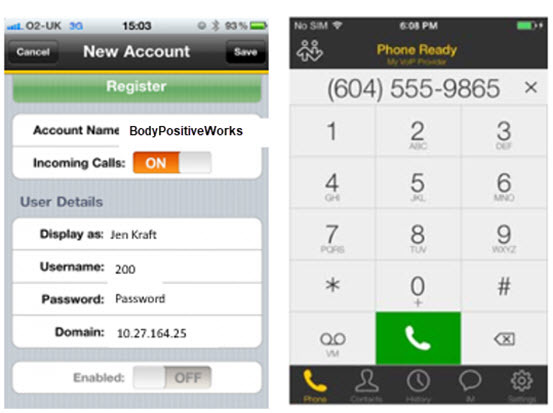 Practitioners can now place outgoing calls for Body Positive Works using the Bria application without publishing their personal cell phone number. The last challenge was finding a solution to place and receive phone calls from smartphones when the practitioner was not at Body Positive Works, but working from home using WIFI or traveling in their car and the phone was connected to the public cellular network. The Open Source router comes with a rich set of virtual private network (VPN) technologies – one of these VPN implementations is called OpenVPN. The OpenVPN project (ww.openvpn.net) is a client-server technology that establishes secure, encrypted tunnels between the client and server. The OpenVPN server technology is integrated with the Open Source firewall, and free clients are available across a multiplicity of platforms, including Apple, Android, Windows, and Unix. At Body Positive Works, the Open Server component of the Open Source firewall was configured with certificates and user accounts that would allow OpenVPN clients to connect securely to the Studio network over the public Internet. The Open Source firewill then generates an .opvn configuration filefor each mobile and PC platform – Apple, Android, Windows, and Unix. After the Openvpn clients are installed on mobile smartphones, The Bodypositiveworks.opvn file is read and processed – the client now knows where the Body Positive Works firewall is located by the public IP address (e.g 66.11.22.33) defined in the configuration file. The OpenVPNuserid and password created on the Open source firewall for the practitioner is defined and saved. 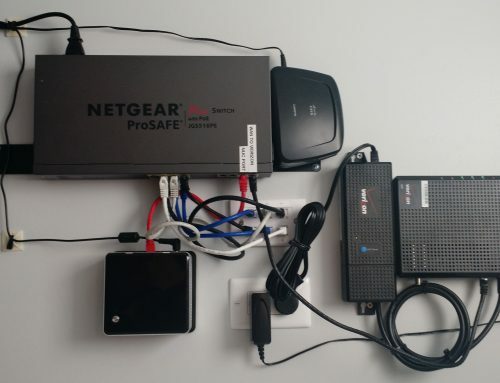 After enabling the connection slider, the Open VPN client connects with the Open Source server, and after being authenticated, a secure tunnel is established between the smartphone and the Body Positive Worksnetwork. The Bria application on the smart phone can now register to the Sipxcom voice server regardless of the smartphone location – the practitioner can be on the home WIFI network, or in the car using the cellular data network. 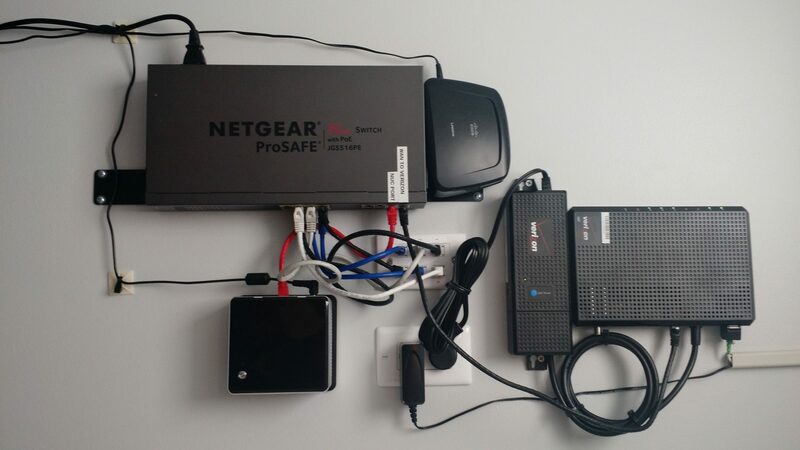 When a smartphone traverses from the cellular network to a WIFI network (and vice-versa), sometimes the OpenVPN client needs to be restarted depending on the state of timers when the transition takes place. Using these emerging open source firewall and telephony technologies, a small business can cost-effectively and securely extend the functionality of their business voice server to employee smartphones that have access to good quality public WIFI and cellular data networks. This capability is essential to the Body Positive Works practitioners and teachers who not always onsite at their Saddle River studio to place and receive voice calls. A final point on connectivity to the public voice network – the Sipxcom voice server uses VoIP for connectivity to a public carrier and the client buys voice service on a metered basis (i.e. per minute) from an Internet Telephony Service Provider. Using this business voice package, The Body Positive Works spends under $10 per month for voice network connectivity that supports up to 25 concurrent incoming or outgoing calls. This is a very cost-effective monthly spend price for public voice service compared to traditional carrier, cable, or cloud-based solutions that charge a monthly fee based on a per-user basis (e.g. 10 users at ~$25 per month per user).